AvNav - Making Flying Safer and More Fun! Get Maps, Weather, Traffic and Terrain - AvNav is the most trusted EFB for pilots flying VFR or IFR! AvNav 4.6 is Here, Learn More! Where do you want to fly with AvNav today? Only AvNav supports Victor airways, DPs, STARs in the flight plan on Android! 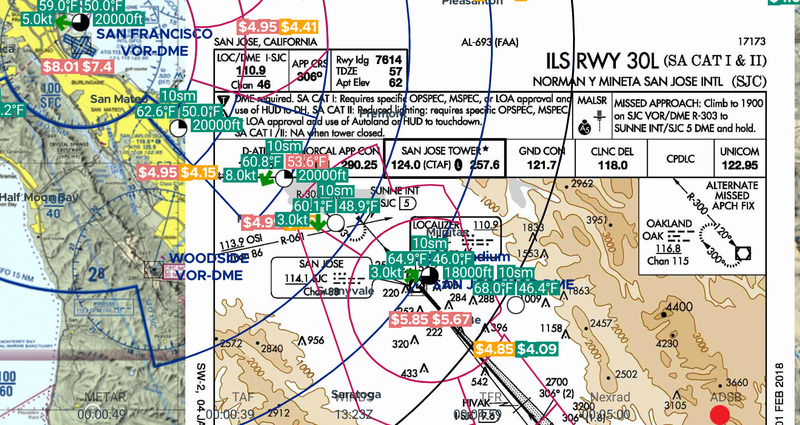 AvNav brings highest quality FAA Charts to you on a hardware-accelerated Map page. No flickers or lag! AvNav was the first App to use a 3D accelerated Mapping Engine on Android and today it uses the highest performing mapping engine in the business. Fast and crash free! Incredible! Haven't flown for 20 years, just got back flying again. This app made a huge difference to get started again. Great program! AvNav can display position of your plane on Airport diagrams and Approach plates - either in full-page mode or split-screen mode. Currently over 650 Airports Diagrams and 11000 Approach Plates are geo-referenced. You can overlay Instrument Approaches and Airport Diagram on the map page thus showing terrain, Metars and Weather over them. In the Air, AvNav shows your GPS position on the charts in either North-Up or Track-Up mode and gets updated information from ADS-B receiver of your choice (iLevil, DUAL, Stratux and others) to display traffic and weather on the map page. Flight logging is automatic - you can play your recorded flight at home or review it with flight instructor for post-flight briefing. This app has a very user-friendly and intuitive interface. The on-the-fly rubber banding is great, the flight planning features are as good as or better than other Android apps and the ability to load approaches/SIDs/STARs sets this one above the rest. 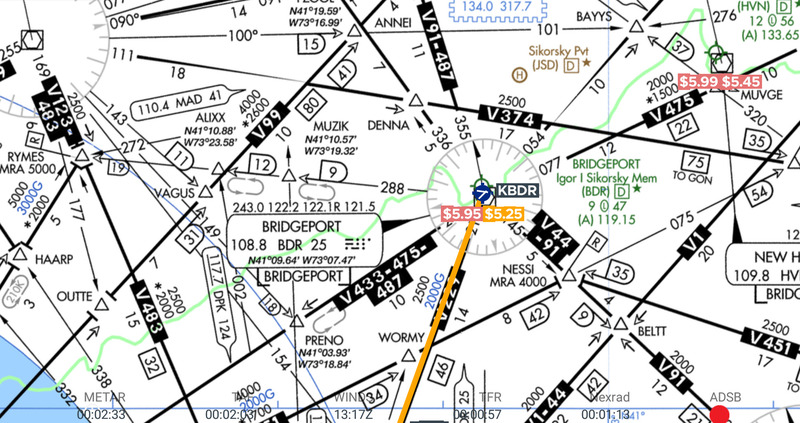 AvNav is the first and the only Android App to present a clear, intuitive uncluttered vector map. All the physical features such as roads/highways, rivers, urban areas, national parks are overlayed along with SUA/MOA, Clas B/C/D airspaces and the weather markers. A small downoad gets you all the maps you need to fly and zoom unlimited! I've used Garmin Pilot, Avare, and Fltplan Go. All have their good points. But Avnav is simpler, more straightforward, and has my money. ATP, 4 type ratings, CFI etc. Nexus 10. What are people saying about AvNav? Great total EFB app! Very comparable to Foreflight, but not near as expensive when you compare with purchase of iPad plus the app! I don't have an external GPS unit; but, I'm impressed with its accuracy... I do highly recommend this app for any Android user out there who wants a good quality EFB flight app for their android device! Works as described and equals or exceeds Garmin Pilot. Cheaper than GP. Finally a dependable app for pilot android users. I give this a five star rating.